The opening of Grand Hyatt Baha Mar officially marks the debut of Baha Mar, the highly anticipated integrated resort destination. Grand Hyatt Baha Mar features 1,800 opulent rooms with contemporary décor, high-end amenities and mesmerizing vistas. Also included is: premier beach and pool access; the largest casino in the Caribbean, enhanced by ocean views; numerous restaurants, bars and lounges; an Animal Beach Sanctuary; 200,000 square feet of meeting space; Royal Blue Golf Club, the 18-hole Jack Nicklaus Signature Course and more. 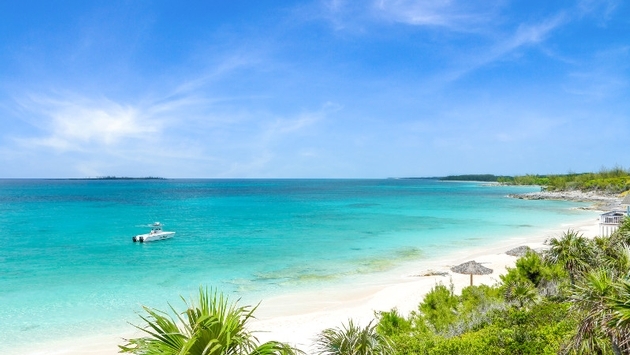 The resort overlooks the waters of the Atlantic Ocean and the beautiful beaches of Nassau. Following the opening of Grand Hyatt Baha Mar, SLS Baha Mar will arrive in fall 2017, followed by the opening of Rosewood Baha Mar in spring 2018. The $4.2 billion beachfront development will eventually feature 2,300 rooms and suites. For more information and reservations, visit bahamar.com. The Warwick Paradise Island-Bahamas, a four-star deluxe, adults-only, all-inclusive resort, officially opened in late 2016. The resort features 250 rooms on 12 floors; four dining options plus a poolside Pizzeria & Grille; two bars; a fully equipped fitness center; entertainment and activities; an onsite gift shop; and a tour desk offering sightseeing options. The first new hotel opening on Paradise Island since 2007, the resort features the 10,000-square-foot Warwick Sunset Terrace overlooking the harbor marinas complemented by Edgewater Grill, the resort’s open-air steak and seafood restaurant. The Sunset Terrace has an arrivals’ dock and an expansive boardwalk featuring a distinctive waterside wedding belvedere offering a picture-perfect backdrop for destination weddings. The resort also has a private harbor-front beach bordered by a calm crystal clear lagoon where both tanning and beach volleyball may be enjoyed, and a large freshwater 330,000 gallon free-form pool. The resort houses Amber Spa, an onsite, full-service spa and salon with services available for an additional charge. For more information about Warwick Paradise Island-Bahamas, visit warwickhotels.com/paradise-island-bahamas. Atlantis, Paradise Island will unveil the complete renovation of Coral Towers in July 2017. The new Lobby Lounge has been refreshed with ocean hues and soft palettes and contemporary style to give families a sense of place as soon as they enter the resort. The new, sparkling blue and white poolscape will provide a stunning environment with private cabanas, family-friendly water activities and a swim-up bar featuring locally-made, preservative-free frozen treats prepared daily with Bahamian fruit. Exclusive amenities will include pint-sized robes and an in-room refrigerator with the ability to pre-purchase snacks. Atlantis will also introduce a dedicated Family Trip Planner exclusive to guests of The Coral Towers, designed to offer customizable packages and assist families with information about the resort’s purposeful activities to connect them to local Bahamian culture and ecology. Coral Towers is taking reservations now for travel beginning in July with rates starting at $329 per person. In April, Atlantis launched Art Walk, a market every other Saturday where guests can support local Bahamian artisans as well as sample locally grown and made products. Marina Village will continue to feature seasonal festivities such as Junkanoo, a meaningful traditional parade filled with dancers and musicians deeply rooted in Bahamian history. Meliá Nassau Beach Resort - All Inclusive, an all-encompassing family-friendly resort located on stunning Cable Beach has completed its $19 million renovation, which began in late 2014. The 694-guest room resort has been completely transformed. Of the hotel’s 694 guest rooms, 102 rooms are part of THE LEVEL, Meliá Hotels & Resorts’ elevated service concept. The well-appointed guest rooms and suites have been redesigned to feature contemporary Caribbean style decor, along with views of the majestic Atlantic Ocean, three resort pools and lush gardens. Additional renovations include a newly refurbished 24-hour fitness center featuring state-of-the-art equipment and a stage for live entertainment and activities was built adjacent to the adults-only pool to cater to couples and adult groups. To better connect visitors with Bahamian culture, in the spring of 2017 Atlantis, Paradise Island launched “Junkanoo Fest & Feast,” an inclusive experience for guests of every age to learn and celebrate Bahamian heritage. Junkanoo is a celebratory street parade that allows participants to show their “true self” through music, dancing, and festive costumes. Every Friday, guests at Atlantis are invited to the Great Hall of Waters in Royal Towers to learn the history of Junkanoo from Arlene Nash Ferguson, Junkanoo Enthusiast, Historian and Principal of Educulture Bahamas Ltd. Guests enjoy an authentic Bahamian meal, partake in a Junkanoo dance lesson and create colorful costumes to express themselves through design. The “Junkanoo Shack” serves as the hub to create breathtaking costumes using finely cut crepe paper, wire and cardboard to custom-design their mask or headpiece for the “Rush Out” later that evening. Tickets for Junkanoo Fest & Feast are $80 for adults and $40 for children ages 4-11; children under 4 years of age are complimentary. Costume creation begins every Friday at 4:00 p.m. and Junkanoo Fest & Feast events take place from 6:00 p.m. to 7:30 p.m. Reservations can be made and tickets are available for purchase through Atlantis dinner reservations for guests and non-guests alike. For more information, visit atlantisbahamas.com. Atlantis, Paradise Island has introduced new morning enrichment experiences which focus on inspiration, with the intention of teaching, caring, protecting and conserving the dolphins at Dolphin Cay. Guests are invited to observe the bottlenose dolphins in their environment starting at sunrise each morning. Each program is designed to engage with the animals in both a meaningful and purposeful way. Dolphin Cay anticipates it will expand these programs to early morning and afternoon sessions. • Rise and Shine: Early risers and young guests start the day on the beach while the resident bottlenose dolphins play. Visitors can share the joy of the dolphins’ morning ritual by immersing themselves in their world. • Paddleboard Yoga: Guests can strengthen their core and perfect their balance while doing yoga and stretching on a paddleboard in the peaceful 14-acre dolphin habitat. • Kayak: Visitors can discover how curious the resident dolphins can be while kayaking among them in their habitat. • Serenity Snorkel: Guests can immerse themselves in the crystal-clear lagoons of Dolphin Cay and discover the majesty of our bottlenose dolphins. For more information on these experiences, visit atlantisbahamas.com. In February 2017, One&Only Ocean Club officially re-opened its doors to guests following extensive upgrades to the property. A major update was done on The Hartford Wing, once the private estate of A&P heir Huntington Hartford II. All of the guest rooms and suites were increased by 110-square-feet, offering expansive terraces or balconies, and providing views of the ocean and lush resort gardens—a first in the resort’s more than 53 years of welcoming guests. Each of the Wing’s 52 guest rooms and suites also received new, custom-designed furnishings, fabrics and color schemes that amplify the distinctive palette of The Bahamas. The Hartford Courtyard was also completely redesigned allowing for a luxurious, relaxing lounge. All guests of the Hartford Wing are serviced by the resorts’ iconic butlers who assist with every need and whim. The resort is located on 35 acres, featuring Versailles-inspired terraced gardens with European statuary, a 12th-century Augustinian cloister shipped piece by piece from France, a 125-foot-long, infinity-edge pool and stunning ocean views. For more information, visit www.oneandonlyresorts.com/one-and-only-ocean-club-bahamas. SOURCE: A Nassau Paradise Island press release.